Snapchat. Love it or hate it, everyone knows about it and it’s taking the masses by storm, still. Snapchat was first launched in 2011, catering mainly to millennial. Being a millennial myself and using it since it was made, I can honestly say I’m surprised it has lasted this long. I thought it would be a fad app that would lose popularity after a few years. It has actually done the opposite through constantly coming up with new features to keep its users and attract more. With that being said, Snapchat is now thriving more than ever, a lot having to do with its fairly new custom lenses, and advertisers are definitely taking notice. Sponsored lenses on Snapchat made their first debut last November promoting The Peanuts Movie, and now, eight months later, the sponsored lenses are still seeing a steady increase. According to studies done by Adweek, demand is steadily rising. Through all of June and now July, 14 brands have ran sponsored lenses in America. That means there has been a sponsored lens featured every three days. So who’s buying these lenses? Film studios like Sony Pictures, Universal Studios, and Pixar have been using them to promote upcoming movies like Finding Dory and Ghostbusters. Brands like Michael Kors and Starbucks use them to promote new merchandise and beverages, while the Las Vegas Convention and Visitors Authority use them to sway your decisions on potential vacation destinations. Beauty brands have also bought into the lenses. L’Oréal Paris, Urban Decay and Benefit Cosmetics have all made campaigns that applied make up filters to users, giving free demonstrations to their real-world products. Some say they hate advertisements and usually go out of their way to avoid them, but I think it’s safe to say that the sponsored lenses on Snapchat may be the exception. So be sure to check out the daily sponsored lenses on Snapchat because they are only getting better and typically only last 24 hours. On a separate note, feel free to check out what Shawn and I would look like if we swapped faces, brought to you by none other than a Snapchat lens! Lauren Johnson. “Why Advertisers Are Forking Over Big Bucks for Custom Snapchat Lenses.” AdWeek. N.p., 10 July 2016. Web. 14 July 2016. 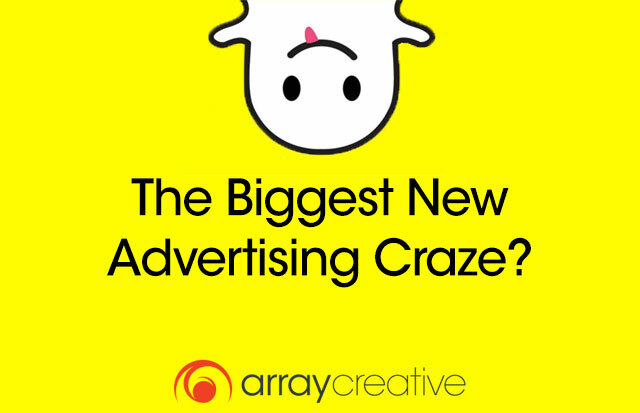 <http://www.adweek.com/news/technology/why-advertisers-are-forking-over-big-bucks-custom-snapchat-lenses-172417>. Johnson, Lauren. “Snapchat’s First Sponsored Lens Stars ‘Peanuts’ and a Stream of Candy Corn.” AdWeek. N.p., 30 Oct. 2015. Web. 14 July 2016. <http://www.adweek.com/news/technology/snapchats-first-sponsored-lens-stars-peanuts-and-stream-candy-corn-167852>.